The athletic part of my brain is known lovingly as The Blerch – a name that I am admittedly “borrowing” from Matthew Inman’s book The Terrible and Wonderful Reasons I Run Long Distances. (He is also the person behind the magnificent website and comics, The Oatmeal.) 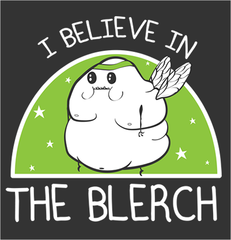 The Blerch “Is a fat little cherub who follows me when I run. He is a wretched, lazy beast. He tells me to slow down, to walk, to quit.” Have it be known, I do not run long distances, I am not sure that I ever will. Physically at some point it would be possible, but mentally it might be more than I can handle, until I learn to deal with the Blerch in my own way. Here is what it was like to go on a run with my very own brain this week. Things start off well: Blerch: wow you picked a new spot by a creek, this is nice! .25 miles in: Look at you go! This spot is nice and flat! .50 miles in: maybe you SHOULD have worn your fitbit so you could know how far you have gone. That would be nice to know. .75 miles in: wow you are running really close to the edge of the road that is full of poison ivy. You better watch out! You know how much you hate that plant! You know you are going to get it. 1.0 miles in: Hey, can you feel your left sock starting to slide ever so slightly? You are going to have a blister. 1.25 miles in: a fitbit reading right about now would be fabulous. 1.5 miles in: wow that mosquito bite from 3 nights ago is really starting to itch again. 1.75 miles in: boy there sure are a lot of factory type buildings around here. And they are stinky. I hope all of the hard breathing doesn’t pull all of the toxins into your system. 2.0 miles in: really? You are done? That’s it? Whats your deal? Thank you so much! This running thing is very new to me (within the last 6 months) and I always said and felt that my body was not made to run. I have not opened up with most people about it because I am still trying to come to terms with my love/hate relationship with it! I have had some weight loss leading up to this process (purposefully) but felt like I needed something more, somehow the weight loss wasn’t enough. I want to feel & BE strong. I go through times where I yearn for it and then days where it doesn’t even cross my mind. I tell myself that this is an ok process. My mind & body will tell me what I need, I just need to listen! Thank you for your encouragement! 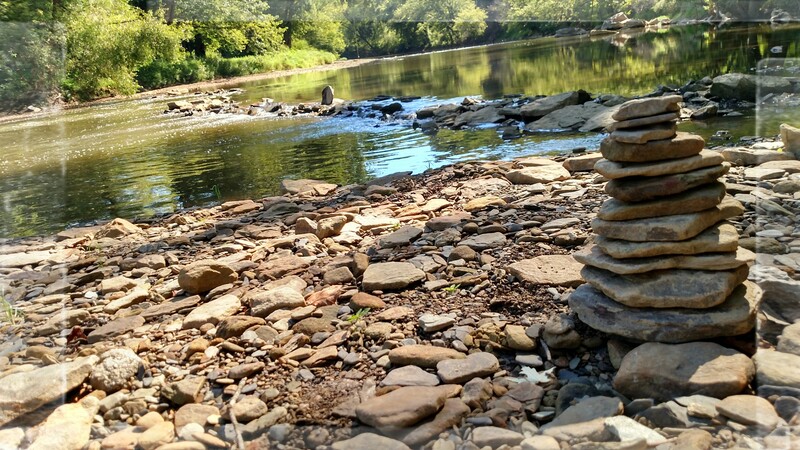 Try Brush Creek Park! If you park at the end of Glendale Road across the street from the entrance, and do the whole park, circling the loop in the back, it is 3 !/2 miles. Be sure to go to the right at the beginning of the loop or the hill will get you! It is especially nice at 6;30 am. Lots of great nature; you could defeat the Blerch!